On the afternoon of 17th December 2017 we needed some exercise, as did Gwen’s collie Jess. The sky was overcast and threatening, so we took the sheltered rocky path up the south side of the River Inver (NC1023). 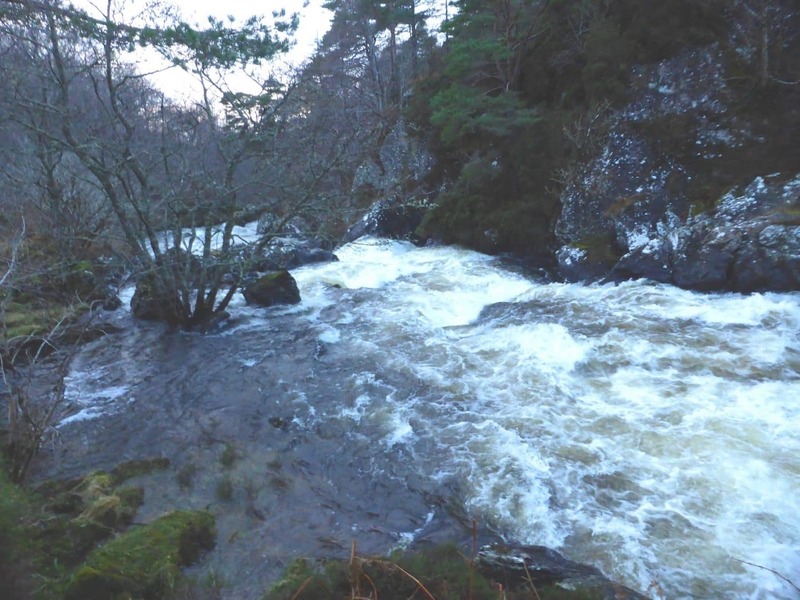 The river was very impressive, running high and fast, and thundering down the gorge below the weir. Old plantings of non-native species along this watercourse have matured into large beech, larch, Scots pine and spruce, toppled in places by recent gales. Amongst these plantings are good examples of the native species that previously occupied the area, including ancient hazels, downy birches, rowans and, in a flat area beside the river, a grove of alders. The gorge is also one of the few places locally where one can see, in season, the delightful guelder rose in flower or fruit. However, what caught our attention on this occasion was a single tree that we only noticed on the way back. At the foot of a rocky slope, about 150 m west of the fishing hut by the weir, there is a huge goat willow Salix caprea. Its size and outline are distinctive enough, but the clinchers were large downy-backed leaves carpeting the ground beneath it. It is well over 1m in diameter at the base, branching low down into two substantial trunks covered with lungwort lichens. 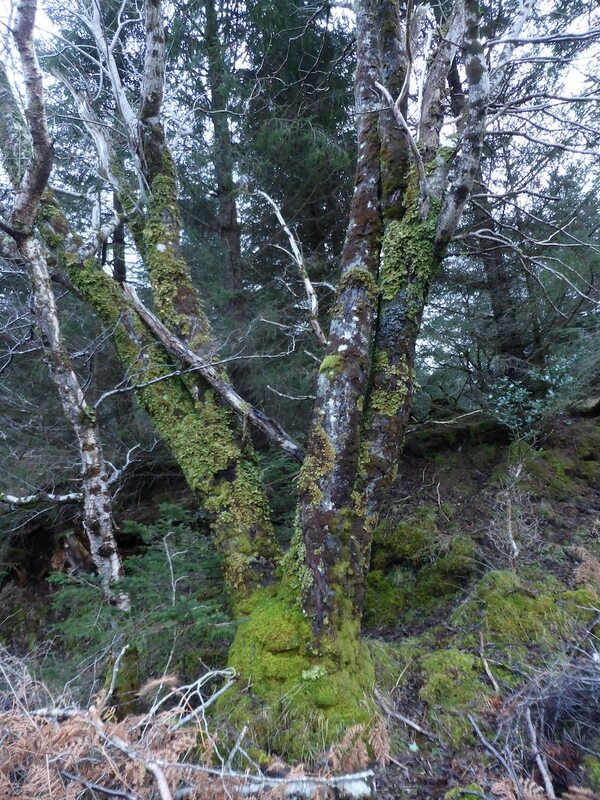 We think this goat willow may be the largest of its kind in Assynt, worthy of a local champion accolade. We should be interested to hear of any rival claimants, or of examples of other local trees that you think deserve the title of champions.